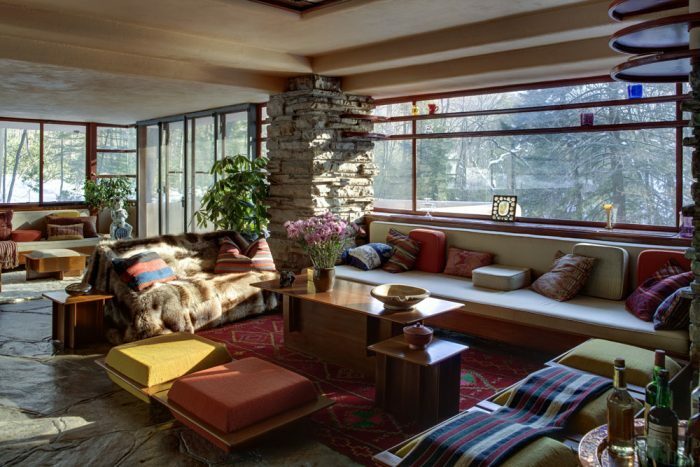 Frank Lloyd Wright designed a masterpiece home named Fallingwater. This is an American architectural gem. 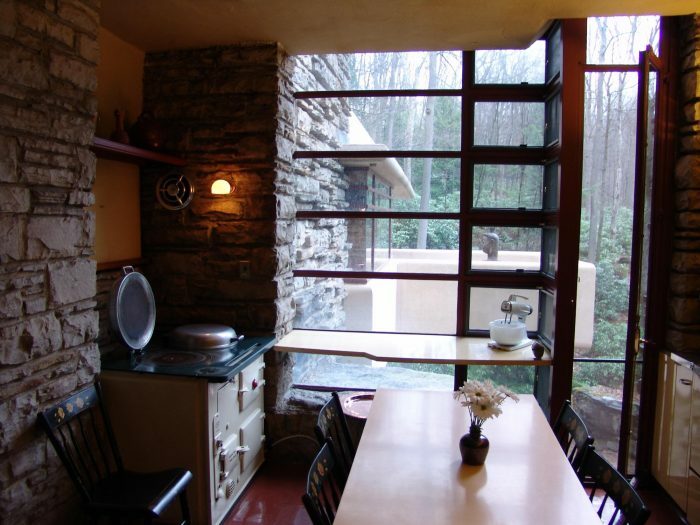 This amazing home sits in Mill Run, Pennsylvania in the Laurel Highlands region. Frank Lloyd Wright founded the theory of “Organic Architecture.” This means that he designed buildings to blend with nature. 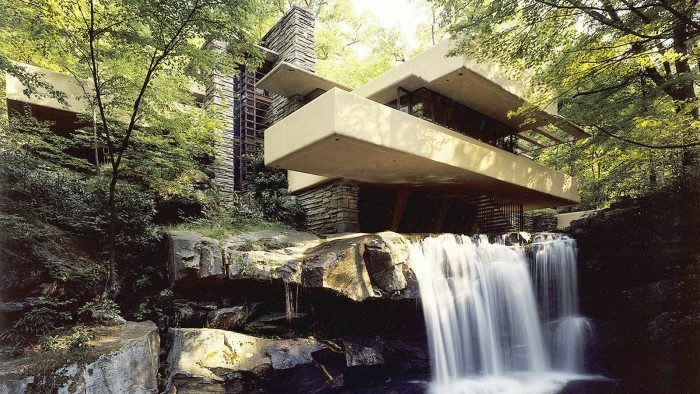 In fact, the name Fallingwater stems from the home’s most famous feature. 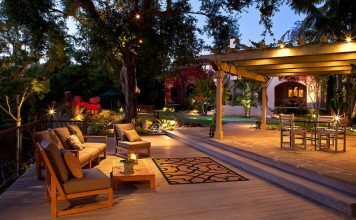 Indeed, the property features an amazing set of waterfalls. 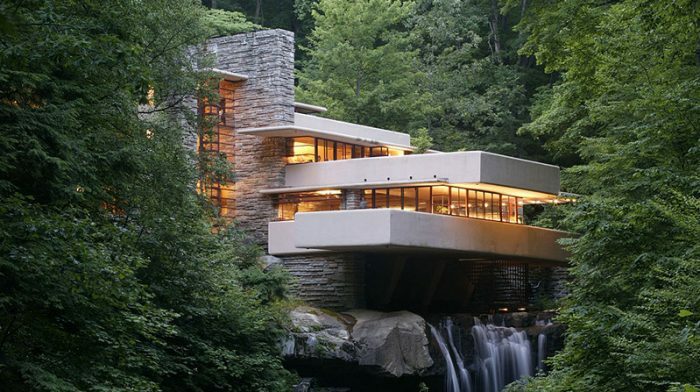 Rather that build the home around the waterfalls, Wright designed the home to straddle the waterfall. Therefore, the falls became a unique feature of the home. 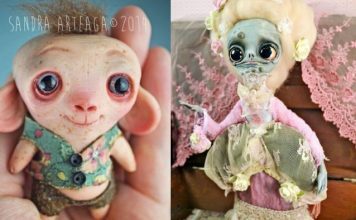 Indeed, these pictures will surprise you! The waterfalls flow under Fallingwater. Visitors describe the sound as musical. Indeed, that’s what Wright intended! In fact, Fallingwater seems to rise from the river. 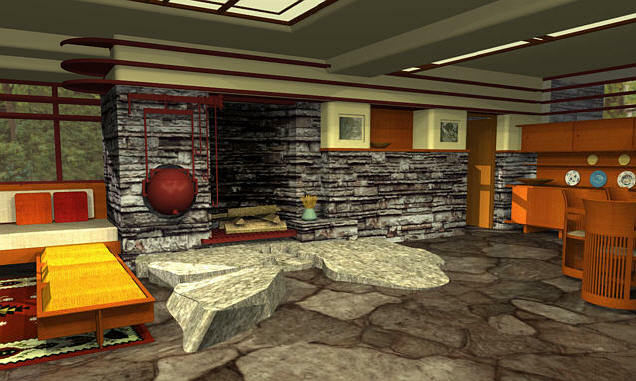 Take note of the natural stone used in the home. 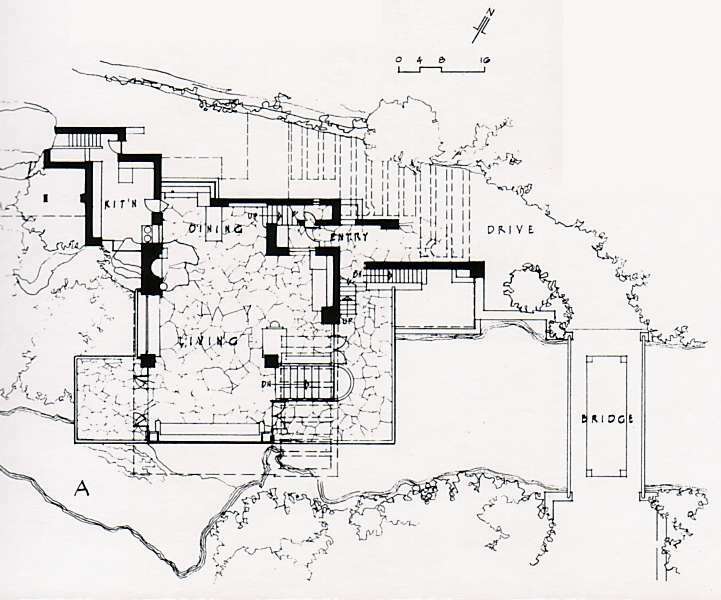 The original owners hired Wright to build their home. They frequently visited the mountains to escape the smog in Pittsburgh. Of course, they envisioned a view of the waterfalls. Imagine their surprise when Wright presented this floorplan. The natural stone carries through in the great room of Fallingwater. Floors feature native stone. In addition, stacked stone columns soar to the ceiling. Warm woods complete the natural feel. 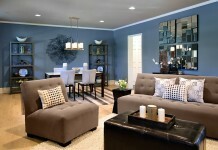 Of course, the furnishings add a bright pop of color. 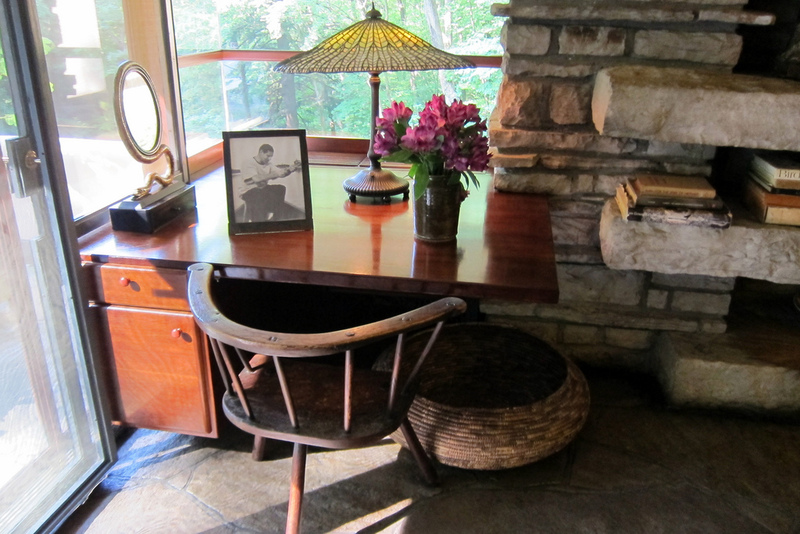 Also, the massive hearth adds rustic charm to the great room. 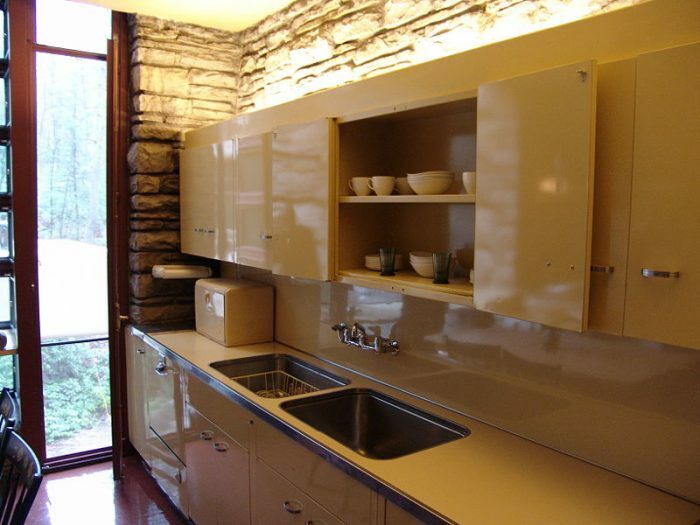 The Fallingwater kitchen features clean lines. Also, they kept the kitchen table simple because of the stunning views. 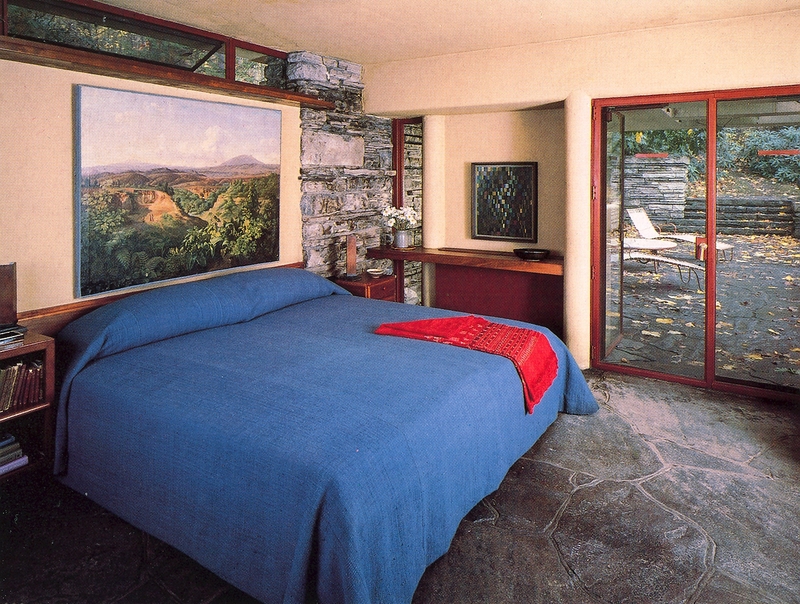 Of course, the master bedroom offers the same organic elements. 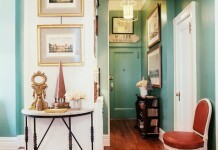 In fact, the owners requested simple decor. This is because they didn’t want to detract from the natural beauty. Also, there’s an office nook in the master bedroom. This, too, overlooks the river. 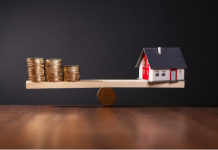 In conclusion, take the earliest chance to visit this home. 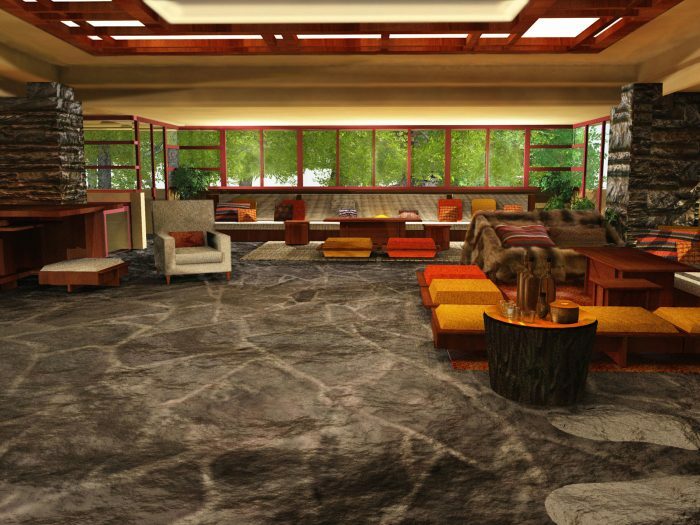 Fallingwater beckons you.